When I first heard about oil pulling, I was intrigued by the concept. This is an account of my 14-day experiment with the practice. 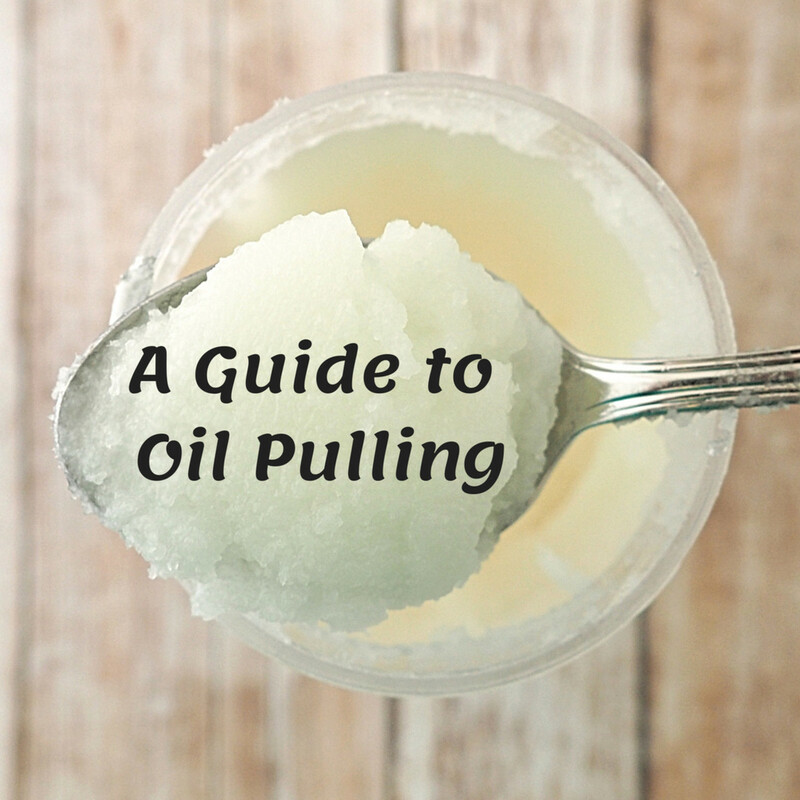 Oil Pulling simply means swishing a tablespoonful of oil in your mouth for up to 20 minutes. When I first heard about oil pulling, I was intrigued by the concept. After all, adding a daily fish oil supplement to my diet had improved my energy levels, breathing capacity, and clarity of thought. Once I began researching it further, the enthusiasm and outrage on display in the oil pulling discussions took me by surprise. How could this activity have so many adherents and provoke such indignation throughout the medical community? It took a month or so to finally work up the courage to try it. Once I did, I learned some powerful lessons about what not to do when pulling oil. I am not a dental professional, nor am I an alternative medicine guru. I came into this experiment with an open mind and a curiosity of what, if anything, the process could do for me. I don’t take daily vitamins, nor have I been diagnosed with a serious medical condition that requires daily medication. Rebecca Lee, a registered nurse in New York and founder of RemediesForMe.com, says that oil pulling may take some getting used to, but if you can manage, stick with it to see what kind of benefits you can get from it. She also has a couple of disclaimers for those about to start on this journey: "You may have a slight headache in the beginning due to the "detox headache" effects. [Also,] oil pulling is not for everyone. If you can't stomach swishing coconut oil in your mouth for about 15 minutes and you've tried a few times, it's okay." Here are the daily results of my oral and systemic health from my 14-day experiment. A regular oil-pulling routine should not replace routine dental checkups and traditional at-home oral care. In addition, if you're experiencing any health issues, it's important to bring them up to your doctor. Oil pulling hasn't been proven to cure ailments or chronic illnesses. Pulling oil is an ancient healing practice that dates back 3000 years, when it was first developed in Ayurvedic medicine. It simply means swishing a tablespoonful of oil in your mouth for up to 20 minutes. The act draws out microbes and bacteria from crevices between the teeth, under the gum line, and from the tongue and palate of the mouth. The oil absorbs these microbes, which are then firmly suspended in the solution. I recommend using olive, sesame, or coconut oil when doing this. Coconut oil is best if you don't mind the taste. However, safflower and sesame oil have pro-inflammatory properties, while olive and coconut oil are anti-inflammatory. 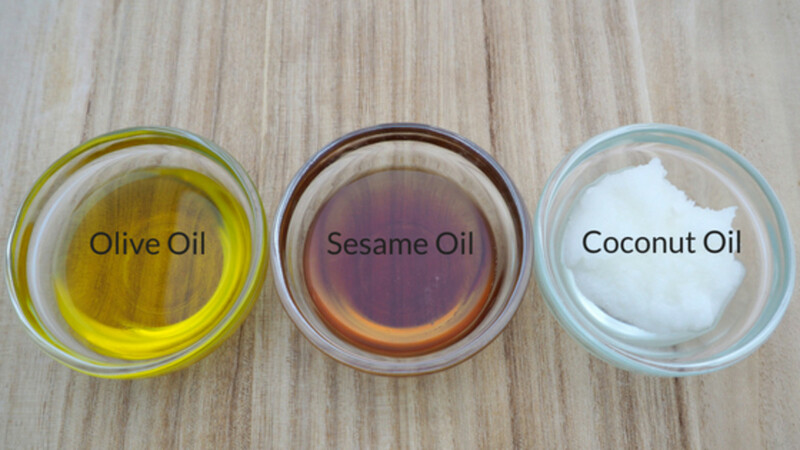 As you'll see, the best systemic benefits are gained by reducing inflammation throughout the body, so I recommend olive, sesame, or coconut oil. Coconut may be the best because not only does it taste good, but it also prevents Streptococcus mutans, an acid-producing bacterium that causes tooth decay. But whichever you choose, you'll want to use the best grade of oil possible—raw, unrefined, extra virgin, organic, and cold pressed or extruded are best for these purposes. Children and infants should not pull oil as they are more likely to swallow the oil, which contains bacteria and toxins from your mouth. When Should I Pull Oil and How Does It Work? Pulling oil is done first thing in the morning before you have had any beverages or meals. Some do it while showering; I did it while checking my morning emails. Some people say they do it at night (still on an empty stomach), but most recommend doing it in the morning since that's when you have the most bacteria in your mouth. Swish the oil around your mouth and through the gaps in your teeth. Take care not to swallow or inhale any during the swishing process, as it is loaded with the bacteria you are trying to rid your mouth of. After 15-20 minutes, you should spit the stuff into the garbage or toilet. (It grows thicker as it mixes with saliva and captured bacteria, so spitting into the sink is likely to cause a clog.) The stuff you spit out should be cloudy from the combination of saliva and bacteria that have been drawn into it. Finish by rinsing your mouth with warm salt water, brushing, and flossing as usual. Some aficionados perform this process on a daily basis, while others are satisfied with an every-other-day schedule. My experiment lasted for 14 days. Below, I'll discuss my results. Proponents cite many benefits, not only for dental hygiene but for systemic health as well. There are a few peer-reviewed scientific studies, but the list of claimed benefits is so long and varied that one wonders if this is where the term “snake oil” came from. Note that most of these benefits haven't been proven. The American Dental Association hasn't commented on oil pulling specifically, but it does offer a statement on unconventional dentistry in general, which includes this part: "The ADA, consistent with its object to encourage the improvement of the health of the public and to promote the art and science of dentistry, supports those diagnostic and treatment approaches that allow both patient and dentist to make informed choices among safe and effective options. The provision of dental care should be based on sound scientific principles and demonstrated clinical safety and effectiveness." Do you believe in health benefits from natural remedies? Yes, there are many alternative therapies that work as well or better than those of traditional medicine. Yes, I believe there is room for both in my health care. I don't know, I'll have to try an alternative therapy. No, things like oil pulling are foolishness. What Are the Side Effects of Oil Pulling? During my experiment, I was not aware of any possible negative side effects. Some skeptics point to a “study” that suggested oil pulling can lead to lipoid pneumonia. In fact, this was not a study but instead a letter to The International Journal of Tuberculosis and Lung Disease discussing the experience of a single patient. It appears that a 56-year-old Korean woman had inhaled the oil, rich in bacteria, into her lungs, causing four successive episodes of lipoid pneumonia. Ceasing oil pulling resulted in no further bouts of pneumonia. This is an isolated incident with a patient who appears to have had difficulty not inhaling the oil. It would be great if more studies could be done to determine potential side effects. Inhaling oil while pulling is not part of the protocol and should be avoided at all costs. 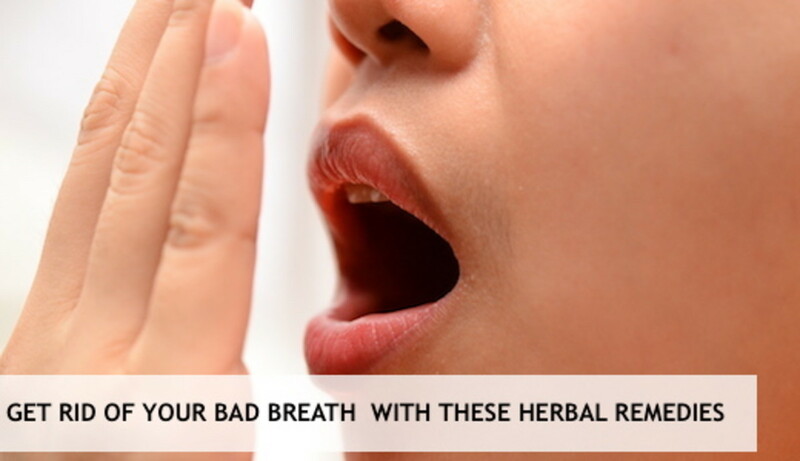 If you feel that you frequently cannot control the desire to cough, oil pulling is not an activity for you. The most damning side effect skeptics decry is that of inactivity. In other words, you have a symptom, oil pulling makes it go away, and you think you've found a cure but in reality, the original symptom could be a sign of something much more sinister. You should go to the doctor to be sure that your acne, eczema, or migraines are not a sign of something much more serious. The American medical establishment is pretty dismissive, especially considering the terrible advice they have given the American public over the last 30 years regarding which oils we should avoid and which we should consume. Perhaps they need to do the testing to disprove the benefits of oil pulling before dismissing it without data to support their decision. To date, skeptics point to the small studies done in India, saying they are too small to support their positive results and are therefore dismissed as flawed. 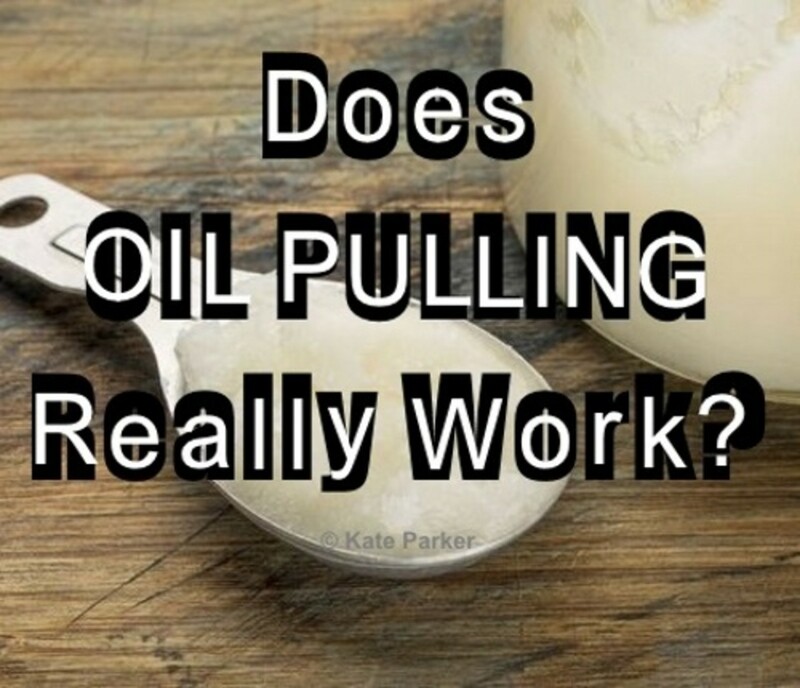 For myself, I believe there are positive health benefits to be gained from oil pulling. Unfortunately, I just don’t enjoy it. Perhaps with time, I can learn to love it. I will keep at it on daily basis from here on out and report back if something changes for better or worse. You can try pulling oil with olive oil, but I wouldn't recommend it. Since I only had olive oil in the house, I thought I'd give it a try. After all, I love olive oil on fresh tomatoes and Italian bread; what could it hurt? Plus, I did not want to make another investment in what could become yet another discarded supplement without first knowing if I could benefit from it or tolerate the process. I dutifully loaded a shot glass with one tablespoon of olive oil, poured it into my mouth, and began furiously swishing it between my teeth. The minutes passed like hours. My mouthful was growing as saliva was being added to the mixture, and my clenched jaws were growing tired. That’s when it happened: Six minutes into the experiment, a tiny amount drizzled down the back of my throat. It was revolting. I spit the green goop out in the kitchen sink (against protocol), and had a few dry heaves. I rinsed my mouth with a little water, then regarded the bottle of olive oil and its little companion, the shot glass. This time I was smart and only poured a half tablespoon into the shot glass. The smaller portion made it much easier to swish around and avoid accidental swallows. I lasted 16 minutes with the growing solution swishing around my teeth and gums. When I spit it out, I expected to see that it had become cloudy, but it just looked like green olive oil to me. Perhaps the first spit contained the majority of bacteria that created a cloudy effect. I immediately rinsed my mouth with water mixed with Himalayan salt, touted as the purest of salts. Then I set off to brush my teeth and rid myself of the taste of olive oil. Now it was time to see the results. My teeth felt clean and looked, perhaps, a little brighter. My gums seemed a little redder than normal, and there was a pleasant tingling feeling. As an added bonus, I had lost my appetite as well, mostly because I hated to pollute my mouth after going to such extreme measures to cleanse it. It should be noted that I did spend the rest of day one with a slightly oily sensation in my mouth. It did not taste like the oil but felt somewhat greasy. Later in the day, I set off to the local health food store to purchase a jar of organic, expressed coconut oil. Start with a half tablespoon of oil and work up from there. Do not use olive oil and don’t research the process on the Internet while you are pulling oil. You end up focusing too much on the bacteria swimming around in your mouth when it’s best to try to forget what you are doing. Coconut oil comes as a solid. You can either chew it until it becomes a liquid or heat it briefly in the microwave. 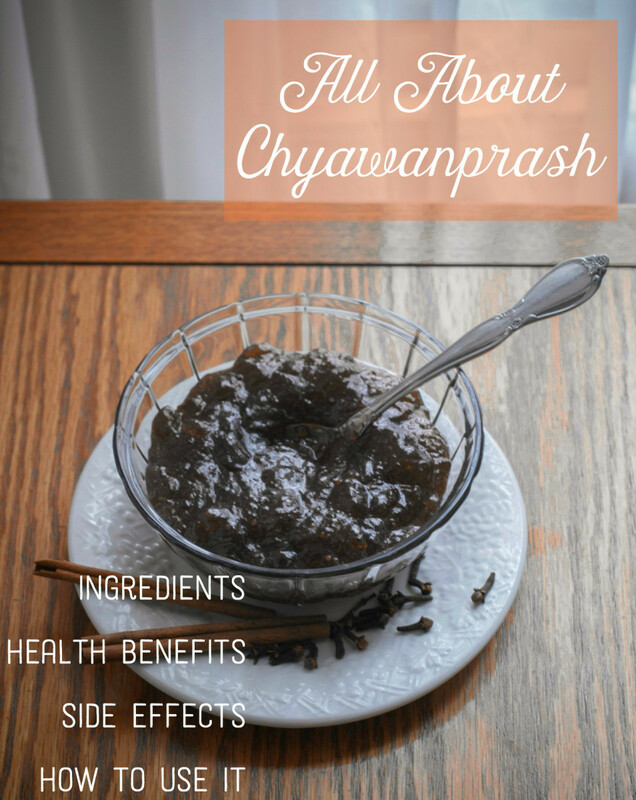 Why Should I Try It With Coconut Oil? 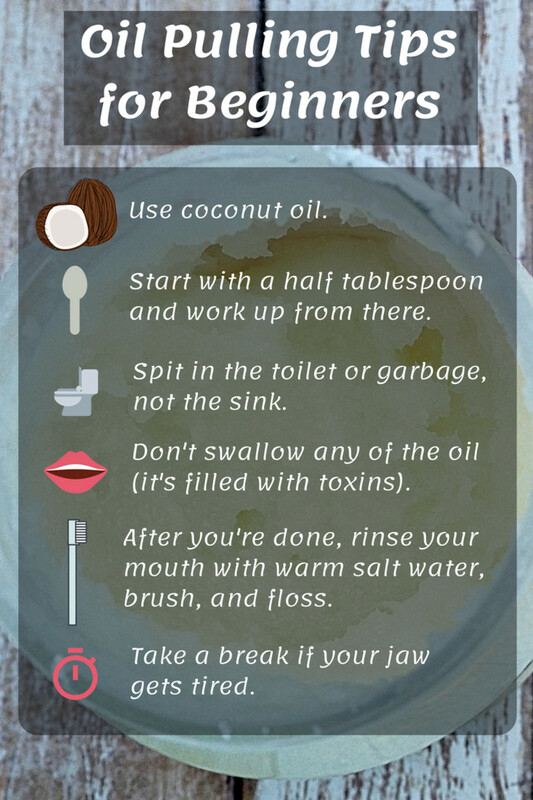 A study done in India found that 60 adults who did oil pulling with coconut oil for ten minutes every day significantly reduced the number of S. mutans in saliva in as little as two weeks, compared to distilled water. Some people can get contact dermatitis from coconut oil, so it's best to test it on your skin before putting it in your mouth! Coconut oil comes as a solid. You can either chew it until it becomes a liquid or heat it briefly in the microwave. Fifteen seconds in a shot glass in the microwave oven was enough to liquefy my ¾ tablespoon shot. It tasted like coconut cream pie and was much thinner than the olive oil was. This made the swishing job less tiring and more pleasant overall. Coconut oil is preferred by many because of its flavor as well as its many medicinal benefits. In fact, 50% of the fat in coconut oil is comprised of lauric acid, a potent antimicrobial. Lauric acid inhibits the Streptococcus mutans that cause tooth decay. Coconut oil also contains vitamins A, E, and K as well as possesses anti-inflammatory properties. This time when I spit, it was gratifyingly cloudy. Success at last. The coconut did not leave a lingering texture or taste in my mouth, and by midday, it seemed to me that the skin on my hands was growing softer. That was something that I had noticed when I did the Master Cleanse Detox. Perhaps oil pulling does have a detoxifying component to it. 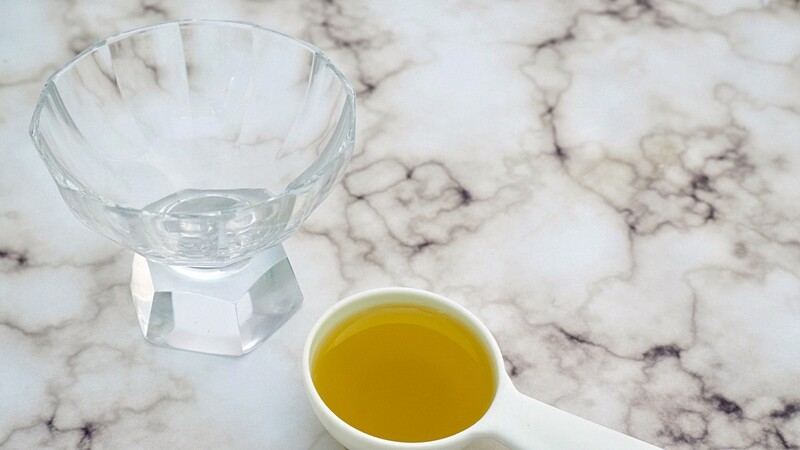 Here are some tips to ensure success the first time you try pulling oil. My teeth were definitely whiter after three days. At age 50, with 35 of those years spent smoking, my teeth had developed a yellowish tinge around the edges. The yellowing was gone, and my teeth appeared glossier. Tooth sensitivity had also decreased substantially, and my gums were looking and feeling healthier. There was also an unexpected benefit, one that I can only attribute to my experiment, and I am curious to see if this benefit repeats itself one month from now. Typically, when my period arrives, I endure hormone-related acne and sometimes severe cramps. For the first time, ever, I had no cramps or acne on my chin. This benefit alone could be worth the trouble. For once, I am looking forward to the next cycle to see if this was a fluke or if it happens again. By the end of week one, I was able to tolerate a full tablespoon for approximately 15 minutes a day. It was still a struggle to get started each morning, but it was easier to keep going once I had begun. Post nasal drip was my only issue. I find it impossible to clear my throat with a mouthful of oil in it, so a few times I had to spit early in order to clear my throat and prevent an involuntary aspiration of the stuff into my lungs due to my irresistible desire to cough. When I did spit early, I just reloaded the shot glass and finished up with a second dose. As a result, I had already gone through half of the oil in six days. As I noted earlier, my teeth were getting much whiter. I estimated that they were at least two shades whiter than they were at the start. In the past, dental bleaching kits had not improved the yellowing on my teeth very much and had caused some sensitivity issues that had remained for several years. Much of that sensitivity was now gone. My gums were healthier in color, and some of the recession had improved in one area noticeably. Flossing was much more comfortable as well. My tooth enamel appeared glossier, and there was a more even tone across all of my teeth. By day two, the skin on my hands felt softer. I would consider an improvement in the skin a systemic benefit since it's the largest organ in our body and the second most powerful detoxifying organ (the liver is number one). By the end of week one, the skin on my hands was softer and marginally less crepe-y. The pores on my face had noticeably reduced in size, and my skin was smoother with fewer fine lines. Hormone-related acne was almost non-existent. Before starting the experiment, a tall cup of coffee was required to get my engine started in the morning. Two days into the experiment, I actually forgot to make my coffee until midday, and I only made it then because I missed the taste of coffee. Additionally, over the last few months, lunch had become a sleeping tonic for me. Thirty minutes after eating, I regularly felt like I needed a nap, especially if lunch was high in carbohydrates. While pulling oil for the first week, there was no after-lunch drowsiness, and I was more productive in general. I slept better and was not getting up in the middle of the night to use the bathroom. As a smoker, my breathing felt easier, and I experienced less morning hack and congestion. Oil pulling evidently adheres to the law of diminishing returns. I did not see any appreciable gains over the following week beyond what I had experienced in week one. My skin looked a little younger and healthier. My energy levels remained high, and I was more productive at work. The thought of putting the oil in my mouth remained uninspiring. It was a chore to get started but easier to maintain once I got started. I could not wait for the experiment to end, at which point I would switch over to an every-other-day routine. I did find the benefits worthwhile and hoped that one day on and one day off would be sufficient to maintain the gains. Sadly, it was not. A week of every-other-day pulling saw the acne magically reappear and my skin looking more tired. For me to maintain the benefits, I would have to make this a part of my daily routine. Oil pulling will not cure existing cavities. Deteriorated tooth matter will not grow back; however, the removal of bacteria can slow further tooth decay. During my 14-day experiment, I did have an opportunity to test it as a hangover cure. While it may have slightly alleviated some of the symptoms, the headache remained until I took some Advil, and the overall yucky feeling stayed with me until after lunch. I do not believe that it will cause you to lose weight, cure cancer, or treat diabetes. However, it may help lower blood pressure if it relieves arterial inflammation and plaque buildup. As I mentioned earlier, oil pulling is a very contentious topic. While proponents cite many health benefits for both dental hygiene as well as systemic health, skeptics are outraged by their claims. Yet there is growing evidence, through recent research, that oral inflammation in the form of plaque and gingivitis can have serious deleterious effects on a wide variety of health issues. For decades, antibiotics have been given prophylactically to patients who have undergone heart surgery following dental cleanings. It is understood that bacteria can be set loose during a cleaning and introduced into the bloodstream, where it could eventually attack the heart. Recent research shows that gum inflammation can increase arterial inflammation and the buildup of plaque on the arterial walls. Additionally, bacteria found in the mouth, known as Streptococcus mutans, have been linked to sinusitis, pneumonia, and meningitis. Each clean tooth in your mouth harbors between 10,000 and 100,000 bacteria; an unclean tooth can hold up to 100 million bacteria. If these bacteria can cause systemic health issues, conversely, we would expect that a reduction of them could result in systemic health benefits. Should You Try Oil Pulling? WebMD. Accessed Aug. 19th, 2018. Oil Pulling With Coconut Oil Can Transform Your Dental Health. Healthline. Accessed Aug. 19th, 2018. I am a 60-year-old diabetic. I have had a toothache for about a week. Could I try oil pulling for my toothache? Is there any side effects? Yes, you can try oil pulling. I would recommend that you add some clove oil to whichever oil you choose to pull with. Clove oil is used in dentistry to help reduce pain. In instances of dry sockets, after tooth removal, the socket is packed with gauze and clove oil is used to disinfect the socket and provide pain relief. It has a numbing effect, although it burns when first applied. You can apply a drop of clove oil directly to the tooth that aches, and then add some clove oil to the pulling oil; three drops is sufficient. There are no negative side effects of oil pulling, unless you inhale the old oil at the end of pulling. I didn't know I wasn't supposed to swallow the oil! I've been pulling with black seed oil for one week and swallowing it. What will happen to me? You will be okay after swallowing the black seed oil; you just will not have gained any systemic benefit from the oil pulling. Your mouth may be healthier though. Just continue pulling oil and spitting it out, although I might recommend sesame or coconut for their antifungal and antibacterial properties. I used coconut oil 1 time on my tongue for five minutes. I swallowed it, then began itching all over my body. Was I having an allergic reaction? Now I am afraid to try the oil pulling. Could I use olive oil instead? Should I try coconut oil again without swallowing it? You should never swallow the oil after pulling, or even just hold it on your tongue in your mouth for five minutes. The oil will be filled with bad bacteria and toxins; Streptococcus mutans are the most populous. Each tooth can harbor between 1000, in a clean mouth, and 1 billion, in a morning mouth, of these bacteria. So swallowing them after they have been suspended in the oil solution would pollute your digestive tract. Always, always spit out the oil after pulling even just for a minute or two. If you think you may be allergic to coconut oil, try using one of these other oils, but be sure that it is "Cold Pressed." 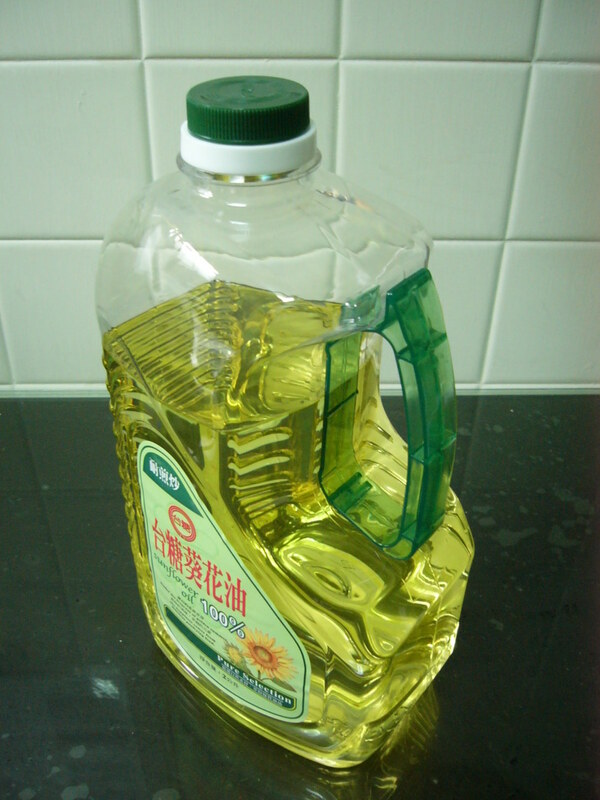 The standard commercial manufacturing of oils involves petroleum-based solvents and contain trans fats. Consider using sesame oil or sunflower oil which have been found to reduce plaque-induced gingivitis. 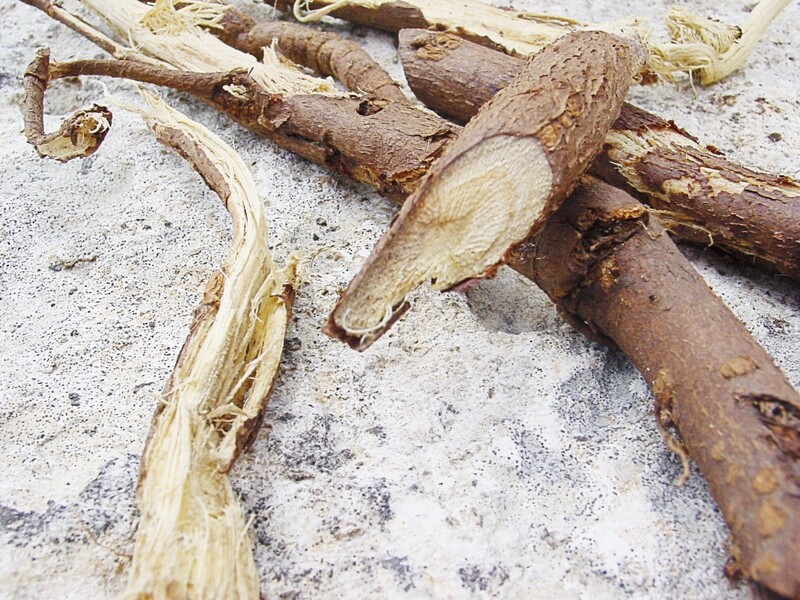 In fact, Root of Sesame (Sesamum indicum) contains chlorosesamone which has antifungal activity, as well as polyunsaturated fatty acids that reduce free radical injury regularly occurring in the oral cavity. You could use olive oil, but it does not contain the same antifungal qualities of sesame oil or coconut oil. I personally tried olive oil for pulling, and found it very unpleasant, and it left a lingering oily sensation in my mouth for hours after pulling and brushing my teeth. 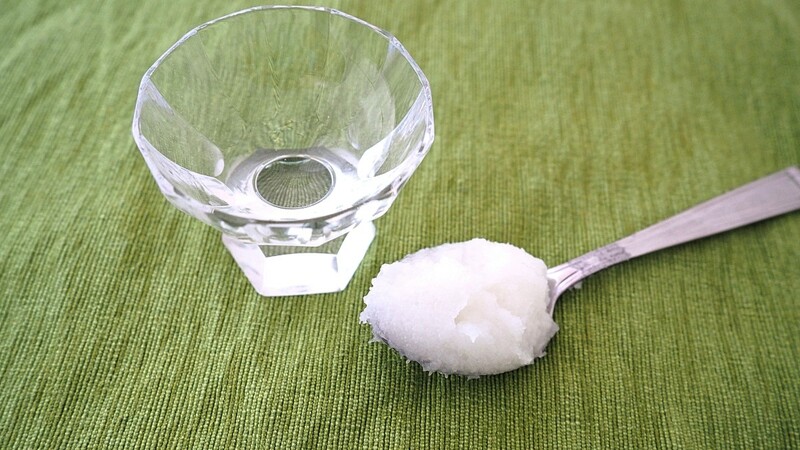 If you can tolerate coconut in other products without an allergic reaction, I would give the coconut oil a try again, being sure to spit it out, in the trash can, at the end of your oil pulling session. Please let us know how it goes! Wow! You have inspired me to go back to oil pulling as well. I could look 10 years younger, never mind 20!! Did it for about a year 3 years ago with virgin coconut oil. End of Year Changes: 1) desensitized teeth; 2) got rid of toothache; 3) stopped gum erosion in track; 3) hair started turning back to black with sprinkling of grey rather than mostly grey; 4) ended up looking 20 years younger; 4) skin got smoother, pliable all over body; 5) cured body aches after 1 month; 6) more energy during day; 7) slept very well at night; 8) brought out Indian cheekbone ancestry. So, why did I stop? Work stress, family/marriage stress, going to bed later and waking up earlier led to slacking off into doing it not at all. Now back to it and 1st day by evening my tongue was extremely white, cheeks hurt, gums pinkish, felt extremely tired but slept well. End of 2nd day: I looked younger, tongue cleared, tooth sensitivity gone, a little plac crumbles; all day energy and slept well night before; felt no desire for usual sugar trea; dark circles under eyes much lighter; thinking much clearer; very good pleasant mood/but takin no stuff from negative people! Should never have quit oil pulling. Now, going to add back my 5 Tibetan Rites. I have been doing OP with coconut oil on a daily basis for almost two years and I have found my teeth to be noticably whiter so much so as I no longer need to use the chemical tooth whitener. My gums have never looked better as well. For me, I have no problem with swishing in the morning and I am pretty religious about it. The only times I may be unable to keep the routine is when I am away from home. Well-written article! I tried oil-pulling in the distant past but stopped when a crown on one of my molars came off. The oil pulling may or may noy have been related. After reading your article I am inspired to make another attempt to build this into my hygiene routine, and see what happens. Fine but, in ayurveda they says morning wake up time drinking water is good before wash your mouth. Hi Catryna - I was surprised to see that as well! I think a helpful editor must have added that in there. I have removed it, since I would not recommend using Canola oil over coconut oil for pulling. The taste not to mention the benefits of the lauric acid in the coconut oil make it a superior choice to all of them in my opinion. I have been oil pulling for many years and was surprised when this article included Canola oil as one to use for this purpose. I would not use Canola oil for anything, much less oil pulling. Why does OP have to be done on aN empty stomach? I use sesame oil which was the original type used 1000's of years ago. It HAS to be "cold pressed". NOT expeller pressed. When I did it once daily for a few months, it took a while, like 1 to 2 months, but eventually cleared away years of built up plaque, and turned my dirty yellowish teeth whiter than they've ever been. After about 4 weeks of daily oil pulling, while oil pulling pieces of hard plaque were actually breaking free from my gum line and I could feel tiny "rocks" in my mouth while oil pulling, that i would spit out. So daily oil pulling will clean your teeth, gums and mouth better than anything else I believe. My dad oil pulled and literally 10+ cavities are gone, and he is in his 50s as well. What you mean it doesn't cure cavities? Think our God left us alone in times of great financial stress? I started oil pulling a few days ago with organic sesame seed oil to see if it might help detoxify my body. I feel naucious and it does go away. Has anyone else gone thru this. I want to continue for at least couple weeks. Maybe I should OP every other day. This article is written by a "James Wilson"? Would said individual be male? Because, in the section marked "Results after day 3," "James" refers to unexpected results having to do with oil pulling and having a period. This observation has left me fairly speechless. But not totally. Cherie: ...I think that you may be allergic to the coconut oil, which does happen to some people..If you ever do want to try it again, use sesame oil, which is a popular oil to use for oil pulling. I had a horrible experience oil pulling my first time, I had used extra virgin coconut oil, and I was completely drained of energy 2 hours later... At first I wasn't 100% sure if the coconut oil was the cause because I ate coconut flour, and shredded coconut with no side effects so I tried to oil pull again using extra virgin coconut oil a few days later and the same thing happened to me... I decided afterwards to use extra virgin olive oil, and had no side effects.. I started oil pulling with coconut oil about 3 weeks ago. Shortly after, my mouth became severely dry and it was like the inside of lips were burned with bumps. My lips are now extremely dry. It is a horrible feeling. I've never had anything like this before. Whatever toothpaste I use now, including Biotene only makes it worse. I will NEVER oil pull again! This is a really horrible side effect. It's been about a week or more since I stopped and my mouth is still damaged. What a misery! I don't know what to do to reverse this curse! im on day 3ish of coconut oil pulling. unfortunately i cant quite make it a full 20minutes. im at a max of 10...i get too much saliva & start to gag. so ive been doing it after wake up & before bed. i was looking for a natural way to whiten my teeth. so far ive seen a slight difference. wish it would have taken before pics. im hoping i get a bonus of seeing other health benefits! Hi Jokanta: Oil pulling is best done in the morning before you eat or drink, because it removes the bacteria that built up in your mouth overnight, before you swallow all those nasty bacteria and circulate them through your system. It will help you feel more energized all day to remove them from your morning wake up routine. Even if you hate oil pulling, rinsing your mouth with water or a mouthwash before swallowing anything in the morning will help with your overall health. Loved the article. I'm doing oil pulling for a weak but Obly before going to bed. Should I switch to mornings better and why..
Hi Judy: I would try oil pulling for 7 days at 10-15 minutes per session to get rid of sensitivity. In your instance, since you have a bridge, it is likely that you have an infected tooth there or one that has decayed to the point of giving you a toothache. I would recommend a visit to the dentist for x-rays to see if there is an infection. If there is, it's likely you will need an extraction. Leaving an infection unattended can compromise the adjoining teeth. Had teeth cleaned still have pain under bridge, i did the coconut oil with clove oil pull 1 time.how long do i do to rid of pain? I first tried OP March 2015 within 6 weeks I started feeling flu like symtoms with severe body pain and ache. I stopped OP and in about 8 weeks I felt back to normal. It did help with overall dental health. I recently started OP again its been 10 days and on day 3 I am starting to feel the same as last year. 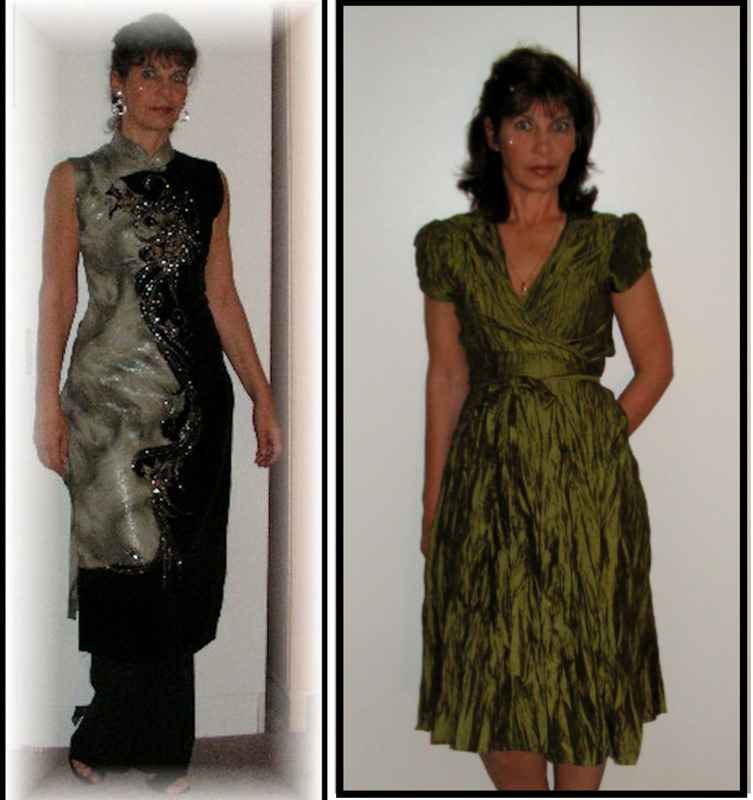 I am going to try to push through it, my thought is that it is just that my body is detoxing. Anyone else feel similar results? My third day today. The first day, I experienced a coated feeling on my tongue the whole day long. Today I woke up with an excruciating tummy ache. Visited the loo a few times...the pain persists. This will probably not deter me from the regimen☺️My hands however are less dry already! Do you think, OP would be fine even if I have braces? Wouldn't it gonna leave stains? I quit due to laziness and an overall dislike of the process, and over time the benefits faded. I have recently started up again, and I am feeling much more energy. Hopefully I can stay with this a while again, and give you better long term synopsis. Hi De Bergerac: I am glad to hear it helped your gums so much. I am curious what your dental professional thinks about oil pulling after 2 years. I've been oil pulling with olive oil for nearly two weeks now. A desperate attempt to avoid a fourth course of antibiotics while waiting for a tooth to get pulled; the results have been intense. First, I noticed the development of really painful canker sores....uncool. Apparently, others have noted it to be a temporary response to the detox process. 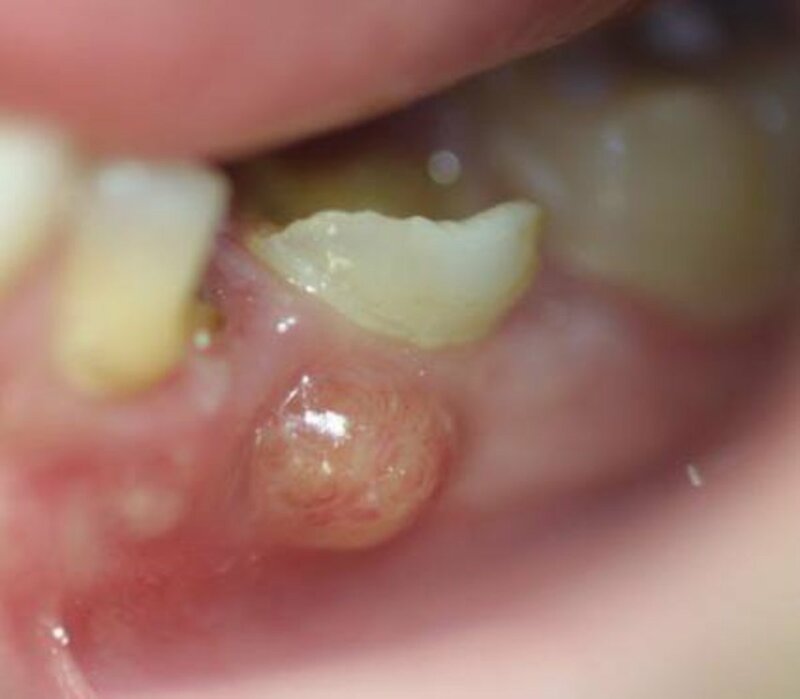 After months of recurring infections, my dental surgeon was impressed with the general health of my mouth, including the area, which had been showing signs of "severe infection" at my last dental appointment. I've also noticed a pinker tongue and draining sinuses (sinusitis has been a long term problem. So, oil pulling. I don't believe in it, but I have found it works. Hi Casey: Please come back and let us know what your experience was with pulling oil! Good luck! Wow, I can't wait to try this. Hi May: My experience was that my skin cleared up and became smoother within a few days of pulling oil. I was using extra virgin cold press coconut oil as Jachaless recommends. You may be allergic to coconut oil. I might try using extra virgin sesame oil, which is used in India with good results. Reaction comes from impurities in the oil or the body ridding itself of prior toxins. Use only pure, unrefined, cold pressed, virgin coconut oil. I have started oil pulling with coconut oil for 5 days, rashes appeared around the mouth on first day and keep increasing and today have all over the face, should i stop ol or change to other oil? Hi Jane: Thank you for the visit. I have not had that experience. Is it possible someone spilled salt in your coconut oil jar? Hi Jacharless: Great news that you have reaped so many benefits from pulling oil. One hygienist had mentioned she thought her patients that pulled oil had harder tartar than those who did not. Interesting that yours has almost disappeared! Being a smoker also, and experiencing several dental issues, can attest to the benefits of Pulling. Love the taste and after-effect smoothness. I too have noticed consistently whiter teeth; plump, pink gums -and actual gum growth by pulling at least 3 times a day. The only missing element is my sinuses, still clogged. But this I attribute to living in NYC pollution. Another effect, apart from my skin is my hair: the greys are reversing and I look 10 years younger! Also, regarding remineralization, have found that yes, the tartar/calculus build up is nearly gone and the dark spots in my lower laterals are fading. This I can only attribute to the direct application of Omega 3/6 in the Coconut oil, reinforced with organic vitamin supplementation. Hi kharoonisha: Thanks for dropping by. Spices on your thong are generally ill advised. However, if your tongue has become more sensative to spice, that is a side effect that I am not familiar with. Thanks for sharing your oil pulling experience. I did oil pulling for 2 days now my thong has become sensitive to spice. Hi Lana: Thanks for dropping by! I definitely feel more energy throughout the day when I am pulling oil. Unfortunately, I don't look forward to it, so I often find reasons to skip it. Then my gums will say, "You need to pull oil again." and I get back to it. Check back with me in a week, and let me know if you found the skin on your hands and face getting softer and less dry. I found that was the case for me! Great hub! So well-written, informative and comprehensive. And I like that you've taken a balanced approach. I've started oil-pulling 5 days ago (with coconut oil) and I can confirm that my teeth seem a bit lighter, but most importantly, my gums don't bleed anymore when I floss. The oil taste or the swooshing doesn't bother me too much, I just do it when I walk my dogs in the morning. There is something else...maybe it's the placebo effect, but I feel better knowing I do something good for my health. Voted up!